1. Fail to plan, plan to fail – yes we’ve all heard that before but never is the saying so true when it comes to pitching on the phone. You have less than a minute to get it right, to make an impression which will hopefully be the start of a relationship (not the end!). Prepare what you are going to say, consider what objections you may face, jot down some notes to help you. Try not to have a scripted speech as this will be obvious to the listener and you won’t sound natural – just have a clear idea of what you want to say and most importunately what you want to get out of the call – what outcome are you looking to achieve? 2. Research – get to know the person and their business before you call them. Try to understand what their challenges are, what’s their background, their personal life, what do they like/dislike. You can find a lot of information these days on Facebook and LinkedIn. 3. Listen – this is where many people fail at the first hurdle! Listen and show empathy, if your prospect makes clear signs that they are busy and would rather not take your call, don’t jump into your sales pitch, instead empathise, tell them that it sounds like they are busy and ask them when would be a better time. Your next call will be much more effective. Equally, if they are willing to talk then it’s all too easy to be thinking about what you are going to say next, rather than listen. Learn more about them. Listen to what kind of language they are using, if you understand and are into NLP, try to gauge whether they are visual, audio or kinaesthetic. If you don’t know what I’m talking about, you can find a great introduction to NLP here. 4. Question – as part of tip number 1 you should write down a list of questions that will help you get to know your prospect and build a rapport with them. Let them talk, it’s great to get as much information as possible, ask questions. Asking questions is a great way to inadvertently sell yourself and build trust and rapport. 5. Outcome – Think about what outcome you want out of the call – is it to make an introduction over the phone, is it to get commitment that they will view your information or is it to set up a meeting. Whatever outcome you want, make sure you state that during your initial introduction and again when you close the conversations (if you haven’t already achieved it). 6. Mindset – it’s vital to have a positive mindset and also to project that in your voice. If you are down, negative, disillusioned then this will come across in your call and you will probably get the outcome you expect and not the one you want. It sounds simple but in reality it’s very easy to feel like you’ve lost your mojo and get caught up in a cycle of negativity. I work on my mindset daily, each morning I start the day as advised by Hal Elrod from The Miracle Morning but I also find it helpful to listen to some motivating music before I start my calls. 7. Capture – you have probably heard before that on average people need to be exposed to a sales message 7 times before they make a purchasing decision. It’s vital therefore to have a system to capture their information, to note down the answers to your questions, to have a process for following up. If the person you are talking to isn’t interested right now, that’s okay, show empathy, say you appreciate that the timing isn’t right but that you’d like to stay in touch and would it be okay to call them again in 3-6 months to update them on your business and see what they are up to? 8. Ask for referrals – referrals are a great way to build your business, whatever you are offering might not be right for one person but could be perfect for another. 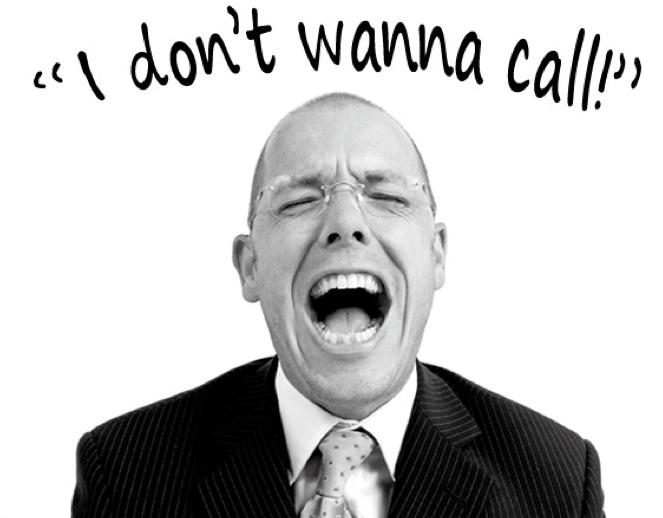 Don’t feel uncomfortable about asking for referrals – be confident, polite and assertive. 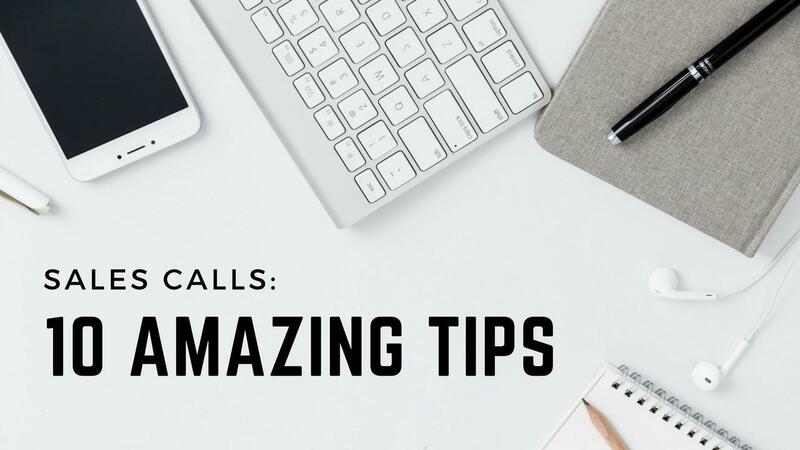 9. Review – appraise yourself after your call, review how you did, could you have done better, what objections did you face, how did you handle them? If you are struggling with converting your calls consider recording your calls so that you can play them back or share them with a mentor. This is invaluable and I’d recommend everyone try this. 10. Don’t give up – consistent daily activity is key to growing any business. Set yourself realistic goals for the number of calls you will make every day. It’s all about building a pipeline so don’t be disheartened by rejection – people might not buy into your offer the first time you speak with them – but if you get the other areas right such as your inbound marketing activity, pr and your system for keeping in touch, you will soon have a pipeline of strong leads. Don’t forget the Fortune is in the Follow up.